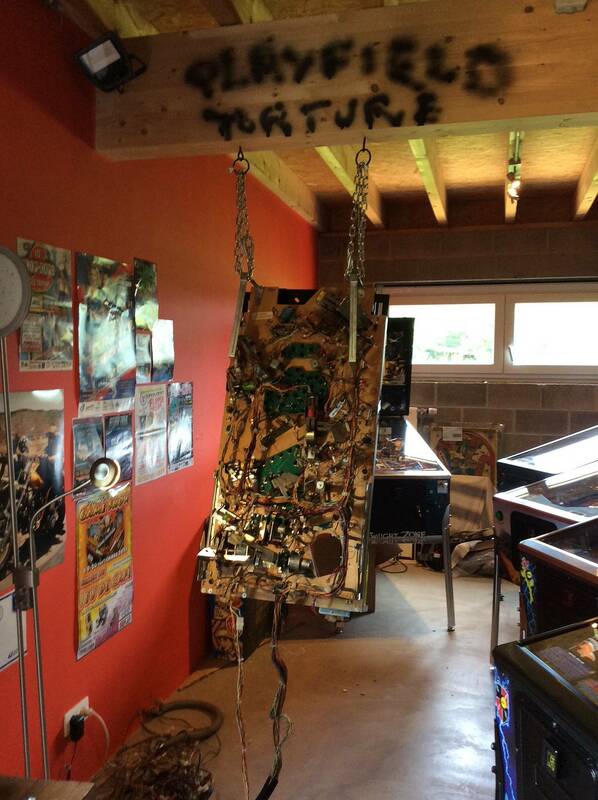 I am pleased to show you my new playfield torture room, for a future rebirth as new. Our unfortunate customer of today comes from Roadshow and is still dying .... but fortunately will get a new life soon ! Too much weight on those playfield handles surely? ... checked nothing is loose or is about to. I will not work on it, the pic was for fun. Just the time I renovate the cabinet and back box. And yes I can easily access to parts that are not when the Pf is in place. Small fixes relax ! That's awesome!! Whip that Playfield if it gets out of line! Nah it's ok, and don't call me Shirley!